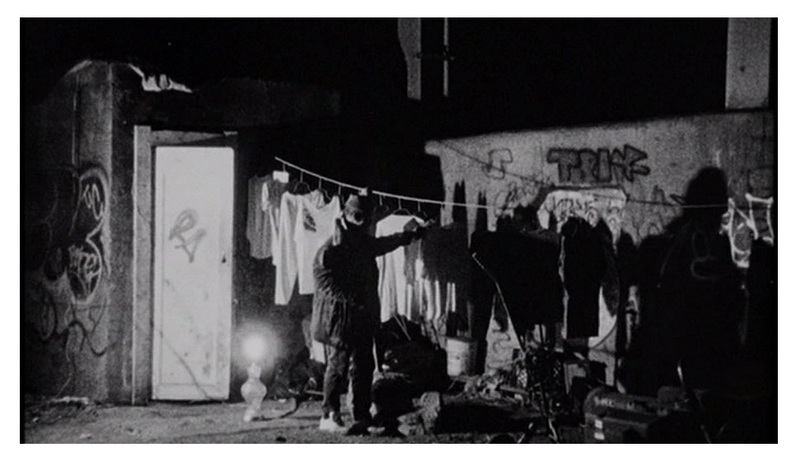 Dark Days is a moving, deeply felt documentary of people living on the edge of society. These misfits — totally forgotten souls for which time and comfort mean nothing — don’t live in some remote island in the middle of nowhere. They exist within structures of a subterranean culture right under the most prestigious areas of New York City, in the train tunnels of Manhattan. Director Marc Singer — using a rented camera and a small crew — goes down (figuratively and literally) to a subculture that, although invisible to most common eyes, is very much alive. Even though Singer’s initial interest in these people came out of pure curiosity, he ends up sympathizing with their plight. His initial callous goal is suddenly transformed on a crusade to help these homeless people leave the tunnels and seek out help. The end result is a harrowing, penetrating study of a little-known social phenomenon. Funny, revealing, and always challenging, this documentary questions our responsibility towards each member of our society. Dark Days is an astonishing work of immeasurable beauty, more incredible when you take in consideration that Singer didn’t even know how to operate a camera before he decided to make this documentary. He single-handedly manages to create a brave, no-holds-barred film that will shock some and disgust others, but will make everyone think about the people in the documentary. This documentary avoids the temptation of looking down at its subjects. The film never makes the mistake of judging or condoning any of the residents of the tunnels; this is just a tool for them to express and share their thoughts, and for the rest of us to get exposed to their problems. 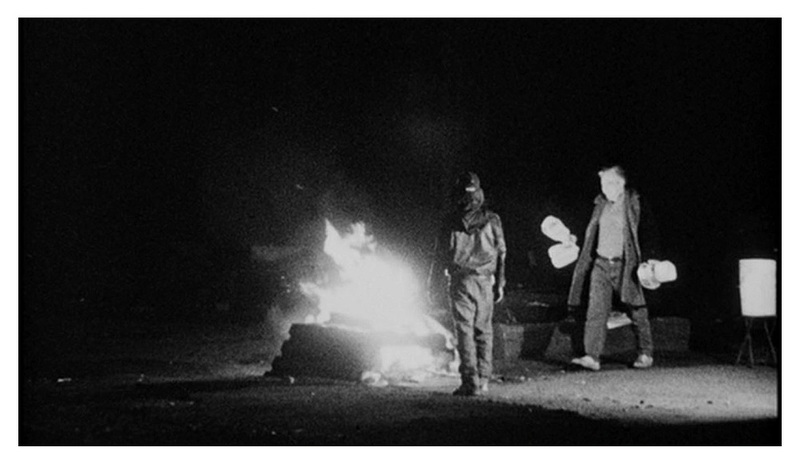 Given the unique premise of the film, combined with the incisive lens of filmmaker Singer’s camera, Dark Days works out to be an excellent film that few will forget — an interesting, most unusual non-fiction work. 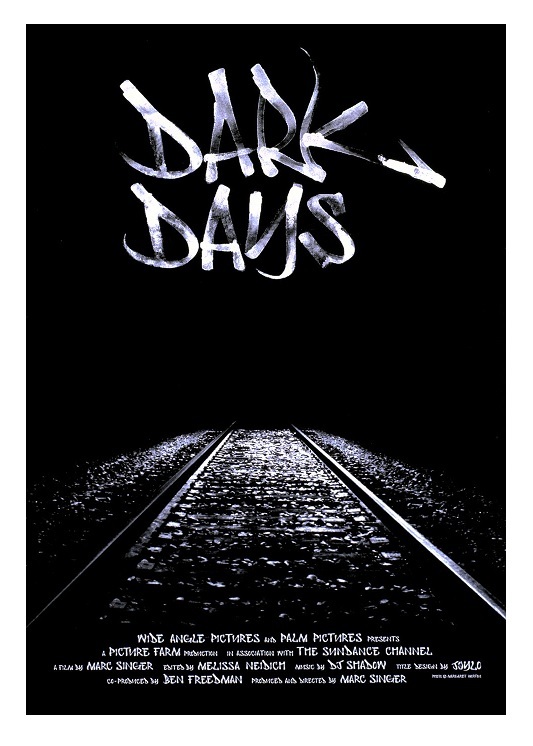 Dark Days was a widely acclaimed documentary during its limited but successful theatrical run, eventually winning many awards, including two from the prestigious Sundance Film Festival. It’s available on DVD and I recommended it to fans of gritty documentaries. B&W, 84 minutes, Not Rated. Did not see this one. will look for it. Nice review. Thank you.